Slageana BRANCOV is one of the Co-Founders and also the Managing Partner of BRANCOV SIMIONESCU TODOR – LAW OFFICE. 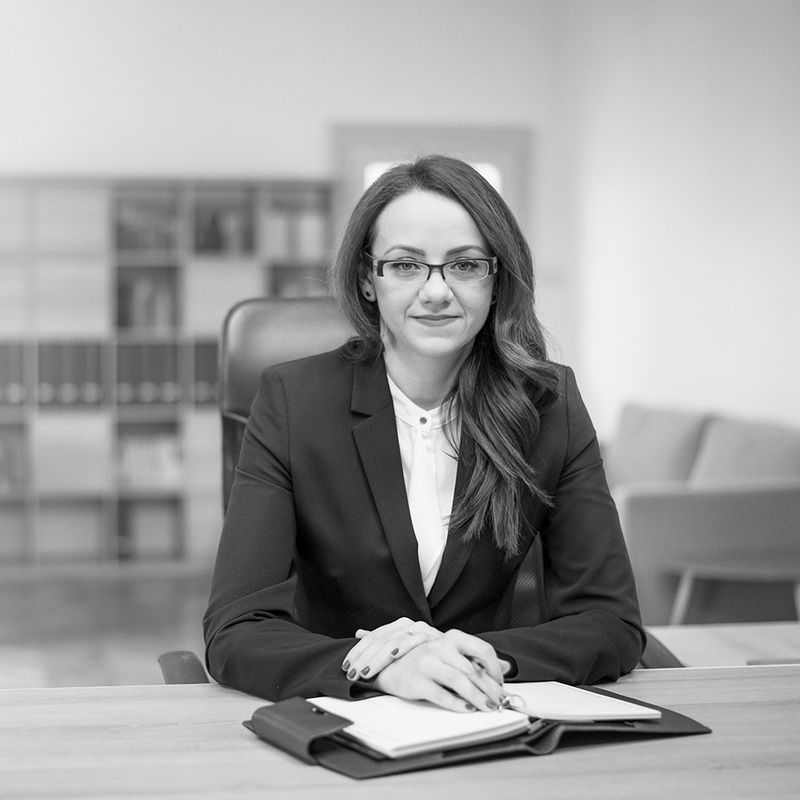 Her quick professional growth, from an employee of an individual law office from Timisoara to the up mentioned position was due to her commitment to excellence and her ability to manage complex projects, with both economical and juridical matters. Her practice is focused on the business sector, being specialized in legal assistance and litigation management in medical and pharmaceutical sector, commercial & corporate, tax, employment issues, civil and commercial contracts and real estate projects. In her professional background, she holds a solid experience in commercial litigations, such as those involving the administrator’s liability for fraud, the exclusion of a shareholder, the dissolution of the company for serious misunderstandings between the shareholders etc. Into the medical and pharmaceutical sector, she has assisted and represented many profile companies at important transactions and litigation, such as sale-purchase agreements (SPA), company restructuring, Merger & Acquisitions (M&A), non-compete litigation etc., being an expert able to guide any client into the medical market requirements. Into the employment sector, her portfolio highlights the legal assistance and representation during the collective negotiations, posting of workers and labor litigation regarding the non-compete agreement breach, cancelling of wrongful dismissal decisions etc. Her major objective is the client’s interest, which is also reflected into the legal services provided. She takes the commitment of raising her professional performances to the highest standards, to the benefit of her clients.